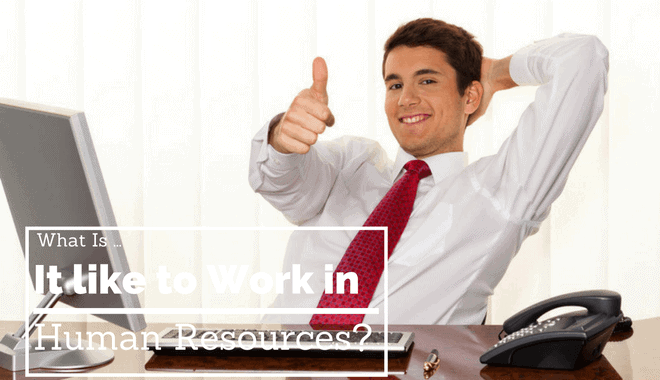 What is it Like to Work in Human Resources (HR)? The human resources profession is one of the fastest growing fields in the United States, and with a median annual salary of $102,690.00 for HR managers, it is no wonder the field is so attractive to so many, but have you ever stopped to wonder what it is like to actually work in HR? Technically speaking, a human resources professional in an individual who provides the necessary tools, knowledge, training, coaching, administrative services, and legal and management advice that an organization requires to be successful. The job duties of an HR professional include recruiting, screening, interviewing, hiring, and training new workers. They often handle payroll, employee relations, benefits, and training. HR managers are responsible for planning, directing, and coordinating the administrative functions of the organization they work for. However, as any seasoned HR professional will tell you, there is no typical day in human resources. Each day is different from the next, and this is a large part of what makes human resources such a challenging and exciting field to work in. At the same time, it is also why flexibility is such a required trait for any successful HR professional to have. If you have a mental checklist of things you think you are going to accomplish by the end of the day, you can rest assured that it will be changed by the time your lunch break rolls around. What is most important is knowing how to prioritize. The employee who cannot log into the system for the fifth time because she keeps forgetting her password can wait when you have to contend with a client who is very upset over a case of employee misconduct. Did something go wrong with the payroll system? Expect that issue to go right to the top of your to do list. There is nothing that will upset your coworkers more than an incorrect or inconsistent paycheck. While you are responsible for managing client relations, you must also maintain the relations you have with your employees. A lot of your day to day activities will also depend on the type of company or organization you for. For example, if you work in a multi-company, multi-state environment, don’t count on one guaranteed answer or guaranteed set of laws. Often times, you’ll find that there are no black and white answers. As a human resources professional, it is your responsibility to create the black and white answer out of gray matter. You must clarify situations that aren’t clear and make your employees and clients feel at home, even if the environment seems inhospitable. In an “average” day in HR, you can count on hundreds of virtual communications (including email) that absolutely cannot wait, and you can guarantee that you’ll have to find a balance between what needs to be done and the things that need to be done faster! Despite the oft hectic schedule of a human resources professional, HR personnel report some of the highest job satisfaction ratings of any profession. In a 2015 survey conducted by the Society of Human Resource Professionals, 88% of HR personnel surveyed reported experiencing overall job satisfaction. The aspects of their job that HR employees reported enjoying the most include the new challenges that arise on a daily basis, being able to help others (both clients and fellow employees), and the “out of the box” thinking that their jobs often require. In the same survey, HR employees that the two biggest sources of stress in their jobs were 1) lack of time to devote to strategic planning due to all of the daily tasks that must be dealt with, and 2) finding it difficult to achieve an ideal work/life balance. However, most survey respondents also said that the latter has significantly improved for the industry as a whole over the last five years. Human resources personnel, especially HR managers, are often thought of as “jacks of all trades”, and an effective leader must be ready and able to handle a diverse range of issues; however, for those who ultimately love working with and helping other people, this is the ideal career choice.